To review a kids’ book, I find it best to grab the nearest kid. Since I have none and kidnapping is frowned upon, I turned to my 7-year old niece, who is becoming an avid reader (YES!!!) and who happily volunteered for the task (and the free book). 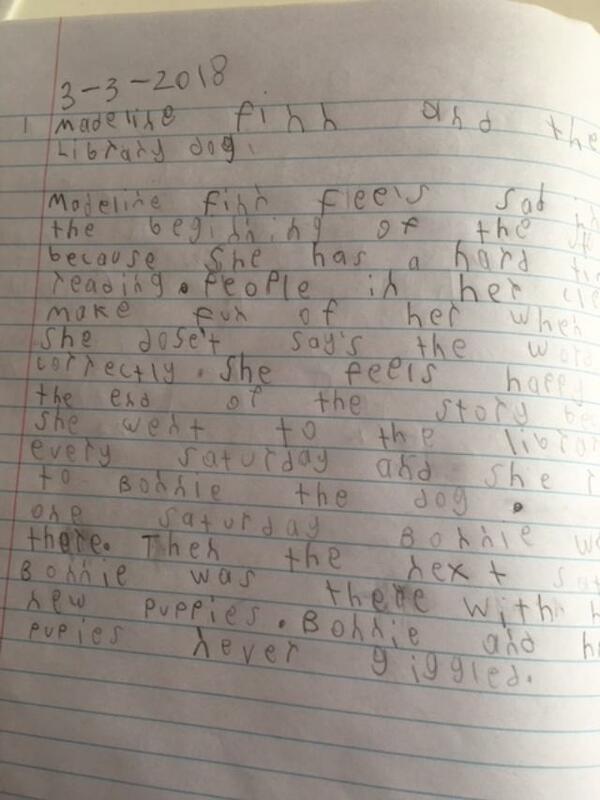 Shortest Summary Ever: My aunt asked me to review Madeline Finn and the Library Dog. 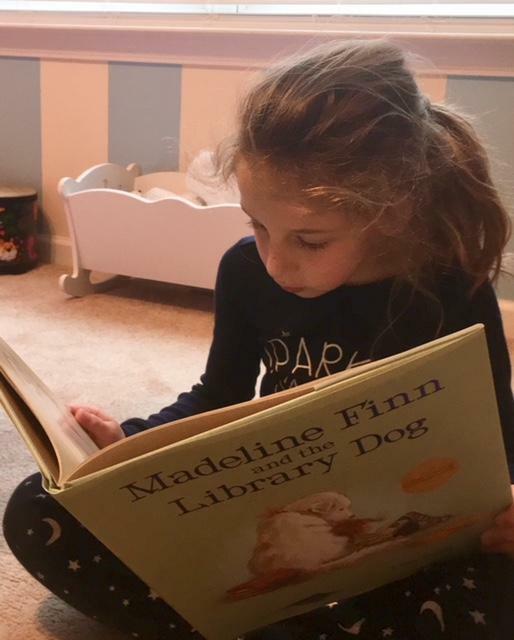 Madeline Finn is learning how to read. 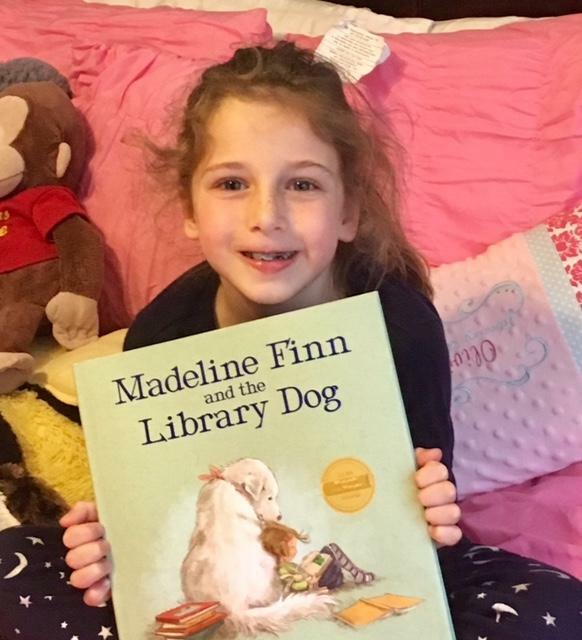 Madeline Finn feels sad in the beginning of the story because she has a hard time reading. People in her class made fun of her when she doesn’t say the words correctly. She feels happy at the end of the story because she went to the library every Saturday and read to Bonnie the dog. One Saturday Bonnie wasn’t there. Then the next Saturday Bonnie was there with her new puppies. Bonnie and her puppies never giggled. What’s Good Under the Hood: I like the story because I like the pictures. Madeline Finn’s teacher is like my teacher because she encourages us to do better. Bonnie is the library dog. Bonnie never giggles when Madeline messes up on a word. Bonnie teaches Madeline to be slow and keep trying. Everyone – it’s a great book! 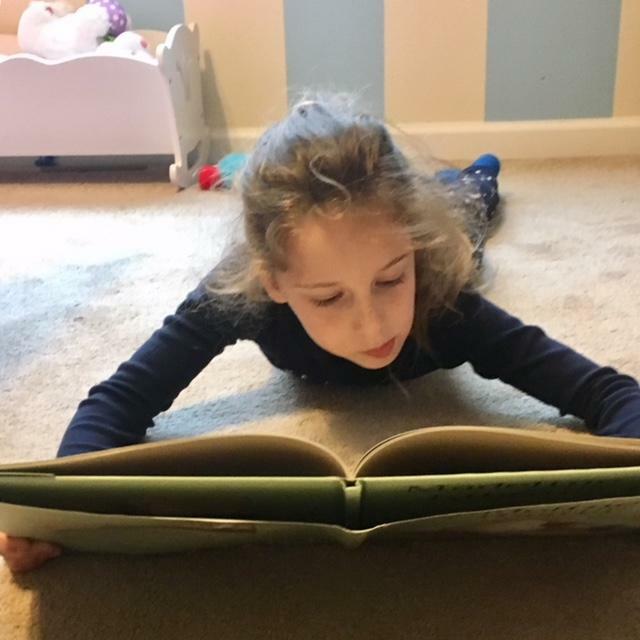 This entry was posted in book review, Books and tagged book, book review, children's literature, picture book, reading, reviews.